Be part of a vibrant community of like-minded creatives and entrepreneurs. Enjoy 24/7 access, fully furnished studios complete with kitchens and all the mod cons, bookable boardroom, breakout spaces, café, courtyard and garden, showers, secure cycle storage and parking. Plus, there’s a rolling programme of events to keep everyone inspired. Interested? It’s easy to get started with our super simple all-inclusive packages that combine rent, service charge insurance and 10Mbps broadband. Flexible studio space that grows with you. Surround yourself with a community of like-minded companies who want your business to succeed. 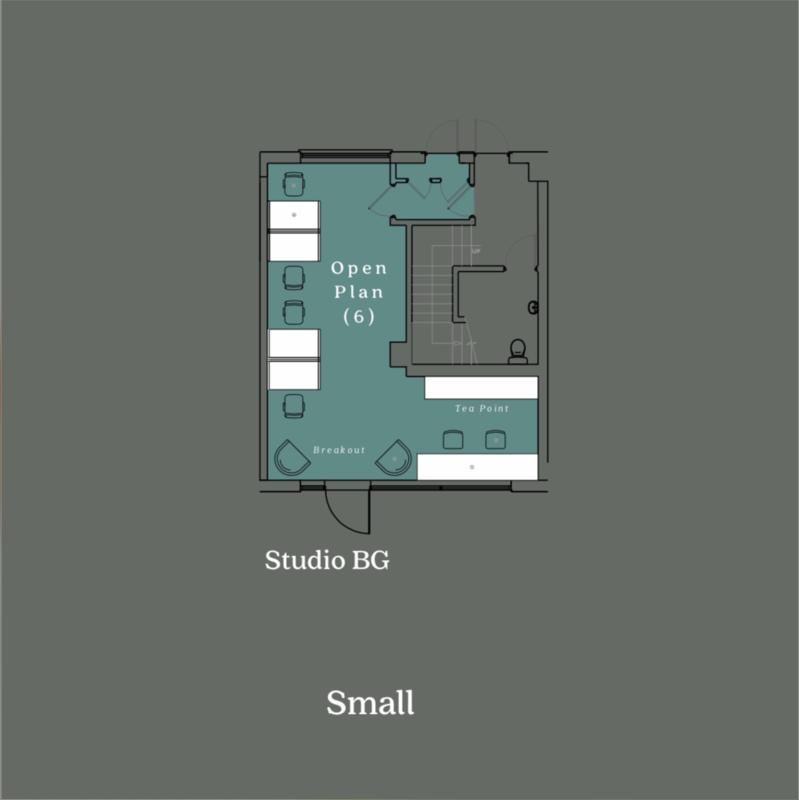 You’re all set up from day one with a fully furnished studio plus your own kitchen, superfast broadband, meeting rooms, breakouts spaces, café, bike storage and parking. Be part of an inspiring community that’s got your best interests at heart. 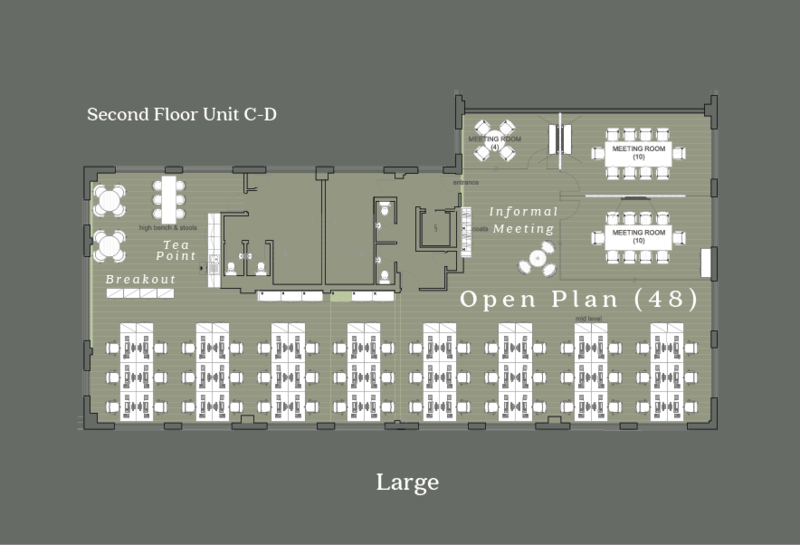 Our light-filled studio spaces are a joy to work in and come fully furnished with large desks and ergonomic chairs. 24/7 access because we understand work isn’t always about the 9 to 5. Looking for a home base to do great work? 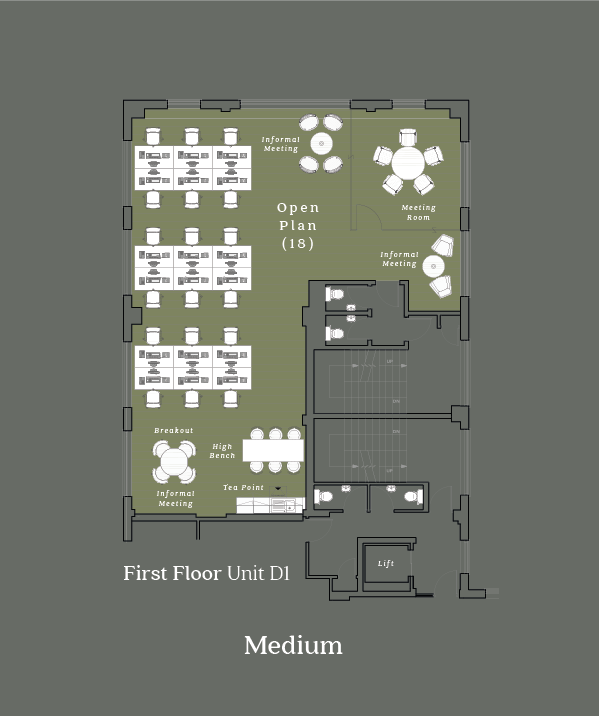 Our large studio spaces can be adapted to suit your team’s unique needs. Our flexible leases and all-inclusive pricing make it easy for you to focus on getting the job done. Need a meeting room? Event space? Catering? Our dedicated Community Manager is here to get you what you need.